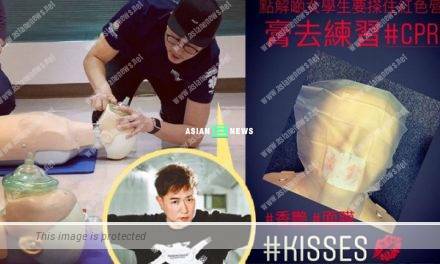 Vincent Wong (王浩信) and his wife, Yoyo Chen (陳自瑤) denied their marriage problem several times. Vincent promised to buy a property for his wife during an event related to Mother’s Day on 11th May 2018. Vincent also cooked two dishes at an activity and admitted to inheriting his father’s culinary skills: “I start work in June and get to spend more time with my parent and daughter. I am used to eating food cooked by my dad and not admiration. I start to learn cooking from him and discover there is many priceless recipes such as combing Xinjiang and Chaozhou cuisines, dumplings and lamb. I will be cooking for my mother on Mother’s Day and writing down in a recipe book.” He added he inherited serious nose allergy from his family and planned to buy an air purifier for his mother.